So you’ve made the decision. You’re leaving the 9 to 5 slog of permie work behind you and you’re ready to take the leap into the more flexible world of contracting. Our award-winning service includes everything you need to start up your limited company. For free. Here’s how it works. A five minute walk from Derby city centre, you’ll find our team of 28 doing things a little differently. Here’s our origin story. UK banks will be introducing name checks on all bank transfers in an effort to combat scams and lower the risk of accidental online payments. To avoid any delays to your payments, now’s the time to ensure your details are always crystal clear. More and more applications are being created with the busy professional in mind, allowing us to streamline our admin and work smarter. There are thousands of apps and tools to choose from and it all comes down to personal user preferences, but here are some of our favourites to get you started. A great reputation inspires trust and helps you stand out from the crowd; it’s your best advocator and most silver-tongued salesman. It’s a product of years of hard graft, but once secured a stellar reputation makes it considerably easier to attract and maintain a profitable client base. Rainy Monday morning? Not feeling your best? Our team share their top fourteen motivational tracks to get you smiling and feeling inspired. As a busy self-employed contractor, we know that the easier managing your accounts is, the sooner you get back to doing what you do best. 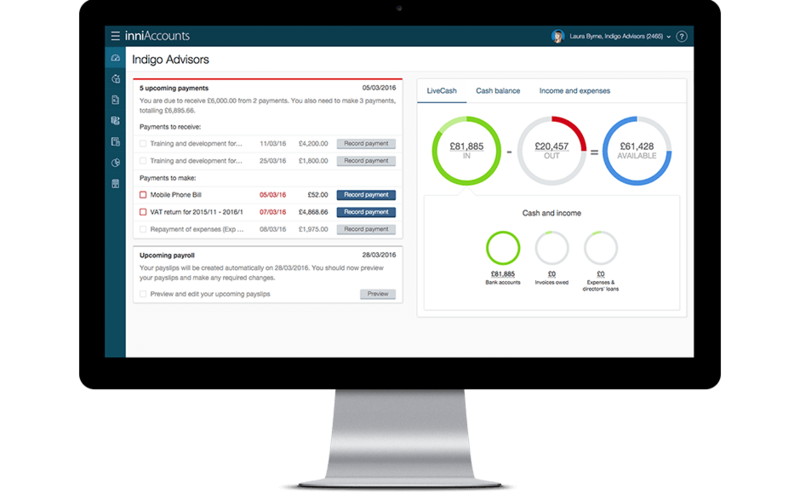 From mobile apps to live financial forecasts and minimising your admin – here’s how you can use inniAccounts to automate your limited company’s finances. Flexibility isn’t just a perk of the job, it’s a requirement for the professional contractor looking to maintain their competitive edge. We’ve worked to ensure every aspect of our service supports our clients need for flexibility. So, whether your contracts are always inside IR35, always outside or a bit of both – here’s how you can easily manage them with inni.